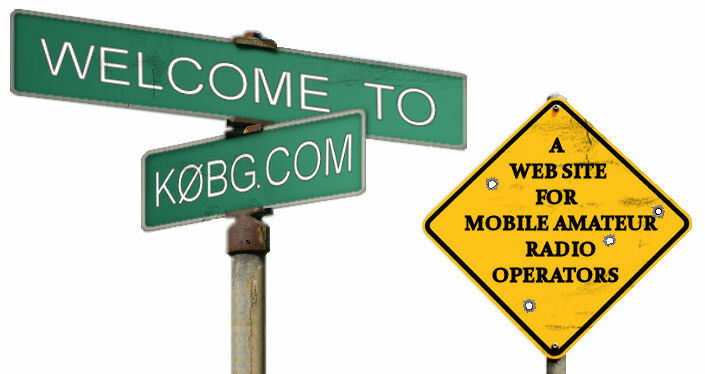 This site is dedicated to mobile amateur radio operators, old and new alike. Whether you're into HF, or VHF operation, I trust the information presented will increase your enjoyment of our great hobby. The names, brands, model numbers, logos, features, and products appearing herein are registered trademarks and/or copyrights of their respective companies. The brands and models herein are shown for clarity, and may no longer be available from their respective manufacturers. The exclusion of recently introduced models is strictly coincidental. The contents of this web site are copyrighted and protected by applicable laws. Permission is granted to copy and/or reprint portions of this site up to 250 words, as long as the source is properly identified. Larger excerpts require written authorization. This site has been live since April 24th, 2004. I started it to share the knowledge I had garnered over 30 years of operating mobile, and to a lessor degree, to correct a myriad of misinformation commonly found on the Internet. While passing on the information to others, I too have learned. And I must say, a whole lot, mostly from my mentors! Those fine folks include my long-time friend, John Brosnahand, WØUN (sk). As was Roden Rodgers, WØNNI (sk), Mayo 'Mac' McAllister, WØCW (sk), and of course, John Kraus, W8JK (sk). Honerable mention certainly goes to Tom Raush, W8JI, both a mentor and an antagonist. Bless them all! This next March, God willing, I will turn 79. I am still as hale and hardy as anyone can be at my age, but I am still aproaching the evening of my life. But until that happens, I am here to answer any inquiries as best I can.